Plans to redevelop the former Orpington Police Station have been approved by the London Borough of Bromley. EPR Architects' design for this residential-led mixed-use development will see the former police station and brownfield site transformed into a much-needed urban hub. 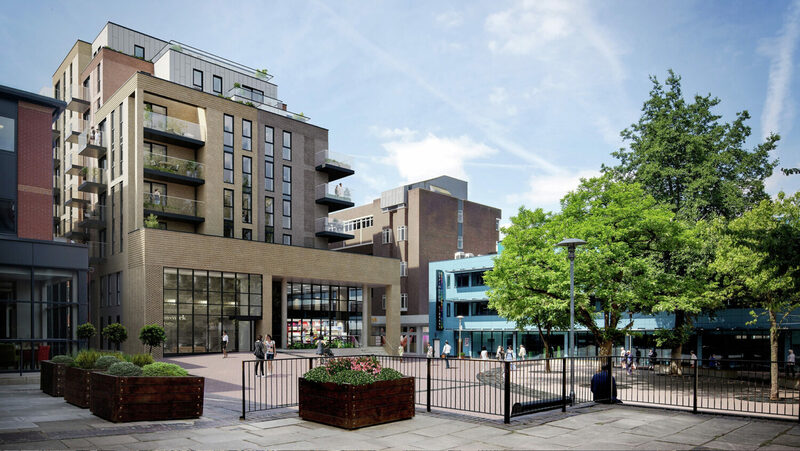 The plans form part of the continued regeneration of Orpington town centre and will offer a development that is conveniently located and highly sustainable. The proposed scheme includes 83 new homes together with a health and wellbeing centre for the NHS at the site on Homefield Rise, Orpington, Kent. The development’s unique form sets it apart from its neighbours and gives the impression of a collection of individual units. EPR’s concept was driven by extensive consultation with key stakeholders including Council Officers and the general public who favoured the diversity of the scheme. The project sets a benchmark for local developments through its engagement with the town centre, offering active street frontages on key pedestrian routes adjacent to the site.